This is a highly scientific package. By undertaking this package of treatment, a smooth, shiny and firmed skin is expected. This is a full body skin care package which ensures removal of all dead skin cells from full body. Through a special herbal multi vitamin fruit massage to nourish the skin, the integrity of the skin is regained. 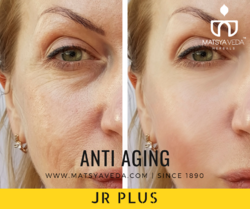 Revelations of science about stems cells and anti-aging is increasingly coming to the forefront that regenerative properties of stem cells can cure many age-related complications and delay aging. 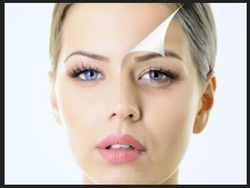 We help you get rid of you aging sign give you lifting & tightening of skin & make you look young. The skin loses its shine with passage of time and leads to problems like skin loosening, wrinkles, pigmentation, dark circles etc. This can be treated through Thermo, Galvanic and other skin treatments depending upon your skin type.